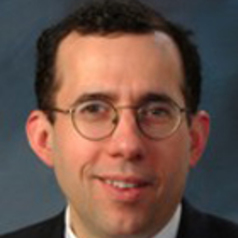 David Rosenberg, M.D., is Chair of the Department of Psychiatry and Behavioral Neurosciences. The Miriam L. Hamburger Endowed Chair of Child Psychiatry and professor of Psychiatry, Dr. Rosenberg is a 15-year veteran of the School of Medicine faculty and the department. Dr. Rosenberg also serves as the chief of Child Psychiatry and Psychology for the WSU School of Medicine and director of Child and Adolescent Neuropsychiatric Research at Children’s Hospital of Michigan. He is the director of the Obsessive Compulsive Disorder Clinical Research Program and the Child and Adolescent Research Division, as well as medical director for Behavioral Health Research and Development for Children’s Hospital of Michigan. He received his medical degree from the University of Michigan in 1988, followed by an internship and residency in general psychiatry at the University of Pittsburgh Medical Center, Western Psychiatric Institute and Clinic. He completed a fellowship in Child Psychiatry as well as a National Institute of Mental Health research fellowship at the University of Pittsburgh Medical Center’s Western Psychiatric Institute and Clinic, and the University of Pittsburgh Medical Center’s Department of Psychiatry, respectively. A strongly funded and widely published researcher, Dr. Rosenberg is often sought out by the national media as an expert on issues of child psychiatry. He wrote the first ever textbook on pediatric psychopharmacology, “Textbook of Pharmacotherapy for Childhood and Adolescent Psychiatric Disorders,” now in its third edition.